Naturally formed hydroxyl radicals continually cleanse and decontaminate our outdoor environment. However, hydroxyls are short lived and do not permeate indoors. Odorox® technology has been developed and patented to create a highly efficient way of duplicating nature, safely generating hydroxyl radicals that naturally "seek and destroy" odour molecules, bacteria, viruses, VOCs, and other chemicals. This is done in two ways. Firstly, by drawing contaminated air through the units, and secondly, emitting a purified air stream containing a cascade of hydroxyl molecules that enable an effective and 'steady state' hydroxyl level to develop in the contaminated space while the unit remains switched on. This cascade also acts on contaminants that cannot be drawn into the air, such as surface bound bacteria or fabric impregnated odours. Odorox® technology is not merely a masking agent, but an aggressive, overwhelmingly safe method of neutralizing odour-causing entities and gases by actually breaking down their chemical bonds. Not just VOCs, but also molecules such as hydrogen sulphide (H2S), carbon monoxide (CO) and ammonia (NH3). However, despite their effectiveness, hydroxyls DO NOT affect man, animals or plants as they do not act on anything bound to living organisms and do not accumulate to levels higher than those achieved by nature, effectively due to the 'fixed' nature of hydrogen content in the atmosphere. Hydroxyls (HO•) are naturally occurring radicals. They are created in our atmosphere when the sun's ultraviolet rays react with water vapour in the air and are an important natural phenomenon that help cleanse our environment. Hydroxyls were in fact discovered in the 1970s as part of the studies into 'acid rain' when it was calculated that some natural positive factor was helping reduce the otherwise devastating implications of that man made polution. Only now has this natural phenomenon been truly reproduced for practical internal use. Odorox® hydroxyl generators replicate the natural process. The Odorox® system utilizes carefully developed and patented hydroxyl production technologies that for the first time harness multiple and optimised UV light wavelength ranges. These wavelengths combined with ambient air humidity create an optimal quality and volume of hydroxyls. The Odorox® hydroxyl generator is in effect a revolutionary new device that eliminates bacteria, mildew, mould, noxious gases, odours and volatile organic compounds (VOCs) in indoor environments. The processing chamber sanitizes airflow and produces hydroxyls (HO•). 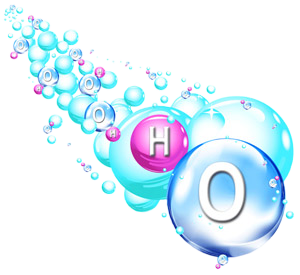 The hydroxyl (HO•) molecules exit the chamber via a cascade to decontaminate surfaces and airborne impurities. Contaminated air is first directed into the processing chamber where ambient humidity and multiple nanometer wavelengths of UV combine in a safely contained space to create an optimised formula for a high yield of hydroxyls. The quartz crystal optics are finely tuned to deodorize air flow in situ, immediately eradicating bacteria,other micro-organisms and contaminants drawn in, as well as produce hydroxyls. The hydroxyl enriched and purified air is then recycled back into the target environment to achieve a further and broader decontamination of surfaces and air space. Once the hydroxyls are created, they effectively "seek and destroy" odour molecules, bacteria, viruses, moulds, VOCs and other chemicals. The hydroxyls simultaneously decontaminate the air, surfaces, and objects. Outside the unit the hydroxyls immediately begin a cascade reaction in the air, thus creating even more hydroxyls. The cascade of hydroxyls quickly disperse throughout the air and penetrates surfaces and objects. Any quenched hydroxyls are continuously replaced by the system, providing a constant flow of hydroxyls. Odorox® hydroxyl generators produce atmospheric hydroxyls that circulate throughout the air and reach places that otherwise can’t be reached. Other UV technologies only clean the air that passes over the optics which significantly limits the purification capability of any device. Why is Odorox® UV technology a superior UV, hydroxyl and decontamination technology? * It produces an unparalled intensity and quality of hydroxyl output so enabling almost absolute in-situ decontamination within the unit. * It enables a continuous cascade of far reaching hydroxyls while the unit is switched on and so cleans the air and surfaces in contained spaces. * It produces atmospheric hydroxyls strong enough to rapidly neutralize viruses, bacteria plus moulds, dangerous gases, VOCs and unpleasant odours. * It produces sufficient hydroxyls to penetrate into fabrics, porous materials and so also remove many odours at source.